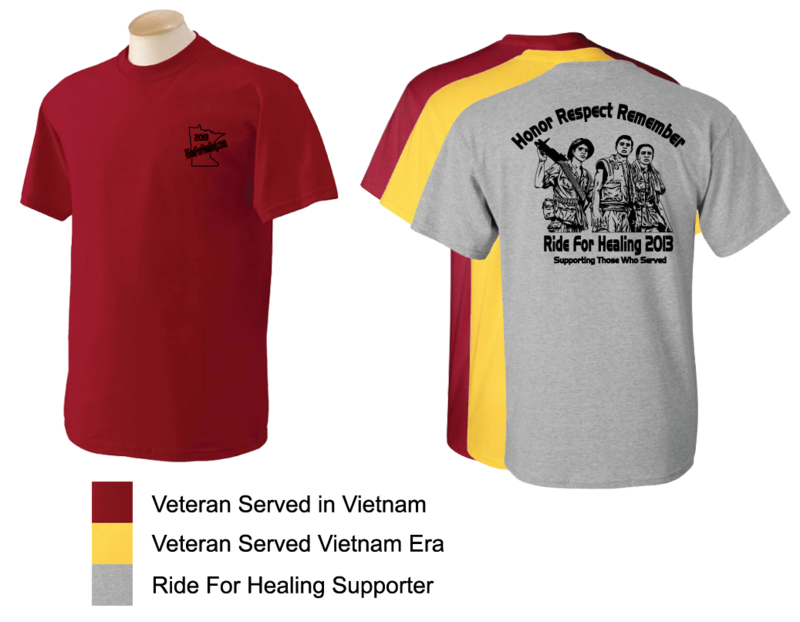 Ride For Healing T-shirt presales, order your shirt now and get ahead of the game. 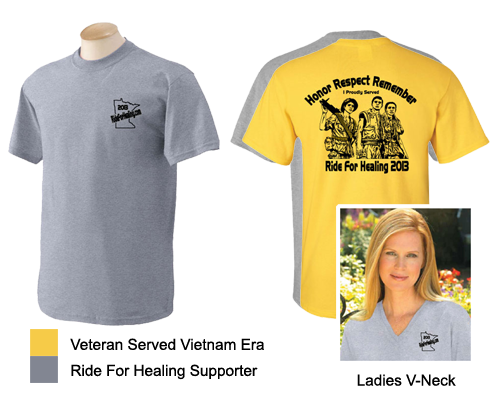 We will honor all requests however you should be aware that the Yellow shirts are designated as Vietnam Veterans, Gray for supporters. Simply fill out the form below and you can pay for the shirt(s) online at a rate of $15.00 plus S/H at $5.95 = a total of $20.95. Shirts will be shipped by our St. Paul office. And thanks for your support. Note: Registration for the Event includes a T-shirt which will be included in your registration packet.